Ann Arbor, MI (April 23, 2018) – “There are puppies living in complete squalor, covered head to toe in feces,” reported the Good Samaritan who called the Humane Society of Huron Valley (HSHV) last week after visiting the home to buy a puppy. 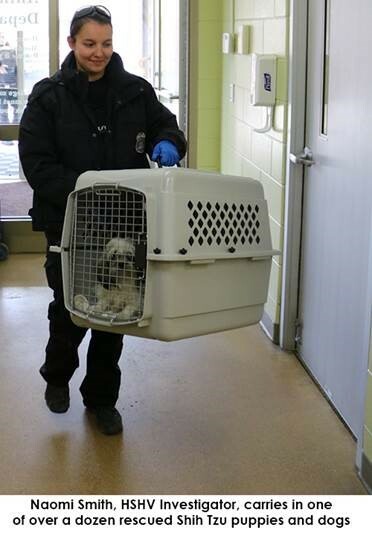 HSHV Cruelty Investigators arrived at the Ypsilanti Township residence Wednesday to find 17 Shih Tzu dogs (age 6 months to 7 years) together with cages full of chickens all living in a bedroom covered in urine and feces. A pair of lovebirds, a parakeet, a Rouen duck, a pony and a miniature horse were also on the property. “Big thanks to the person who reported this situation to us. The owner is fully cooperating. 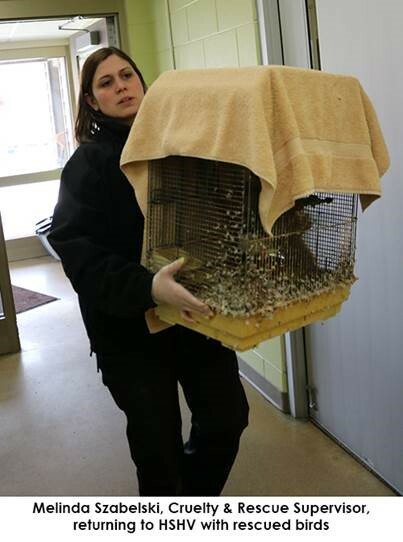 We’re relieved he recognized the need for assistance and so glad we’re able to get the animals the help they need,” said Melinda Szabelski, HSHV’s Cruelty & Rescue Supervisor. Most of the animals were matted, covered in their own feces and suffered from various medical conditions, and are now being treated at HSHV. 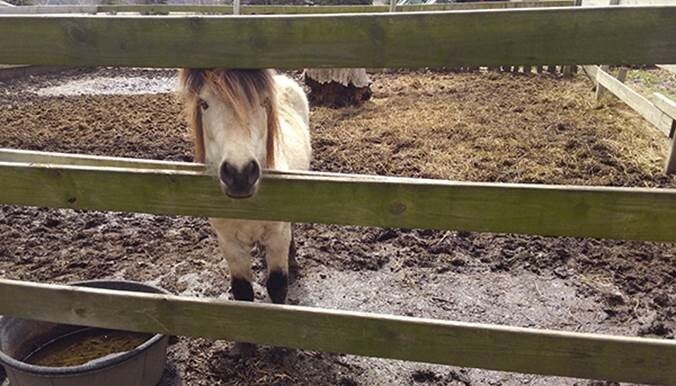 The pony is still under medical evaluation, and the miniature horse has been given a permanent home at SASHA Farm animal sanctuary. 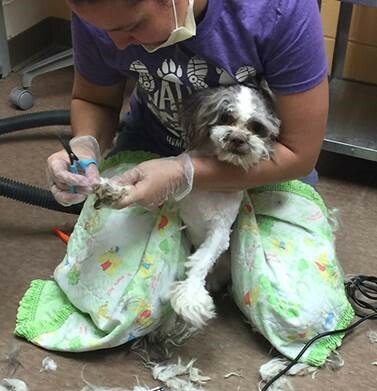 To donate to help with their treatment or other HSHV animal rescue services, please go to hshv.org/shihtzurescue. HSHV investigates suspected animal cruelty in Washtenaw County—a service solely funded by donations. 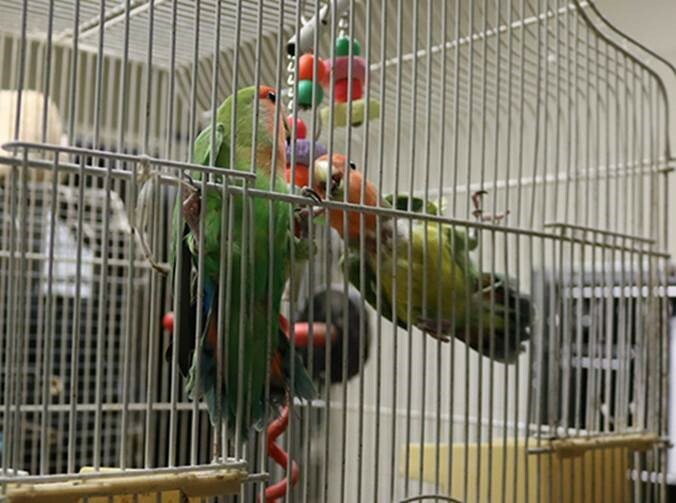 Suspected reports of animal cruelty may be called into HSHV’s tip line at (734) 661-3512, or online at hshv.org/report.